Yesterday, I had the opportunity to attend the launch event of The Organic Pharmacy in Wasl Vita Mall in Jumeirah. I had never heard of the British brand before and was eager to visit what I thought would be my solution to finding herbal medicines and organic options to treat my family from everyday common health issues. It was not what I expected but I was still happily surprise to find a beauty and well-being shopping haven free from chemicals. I love the core principle " the best organic ingredients, honest expert advice, quality service, incredibly effective products and a caring environment." 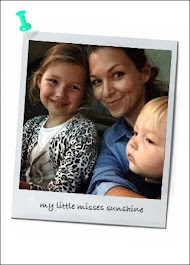 The Organic Pharmacy in Dubai might not provide a solution for my girls common cold and cough but I will definitely find some great baby and mother skincare essentials based on homeopathic and herbal medicine. The brand carries a large selection of skincare, body, hair, health supplements even makeup and fragrance. The Organic Pharmacy is known for its premium grade herbal and homeopathic products and also its urban spa. I look forward to try out some of treatments that are said to deliver optimal calming and rejuvenating experiences; soothing both the mind and body. Luxurious treatments include a signature, Rose Crystal Lymphatic facial, the Hydra-Diamond, Skin Solution, Vitamin C facial, Urban Purifying facial as well as indulgent body experiences. The Organic Pharmacy facials combine plant actives, cosmeceuticals and vitamins with signature massage techniques. With the growing demand for organic products in Dubai, I believe The Organic Pharmacy will be a success. And we love that Beam is available at The Organic Pharmacy. We are Beam fans! Read our previous blog post about the most convenient and rewarding way to shop - a mobile app that makes shopping easier, safer and smarter. HERE! 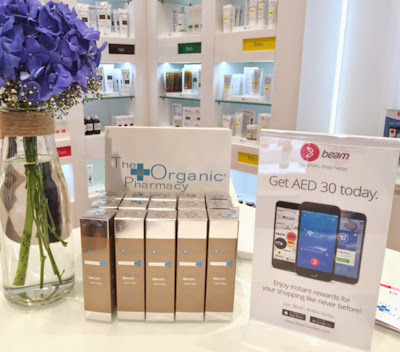 The Organic Pharmacy is located in Wasl Vita Mall, Dubai. 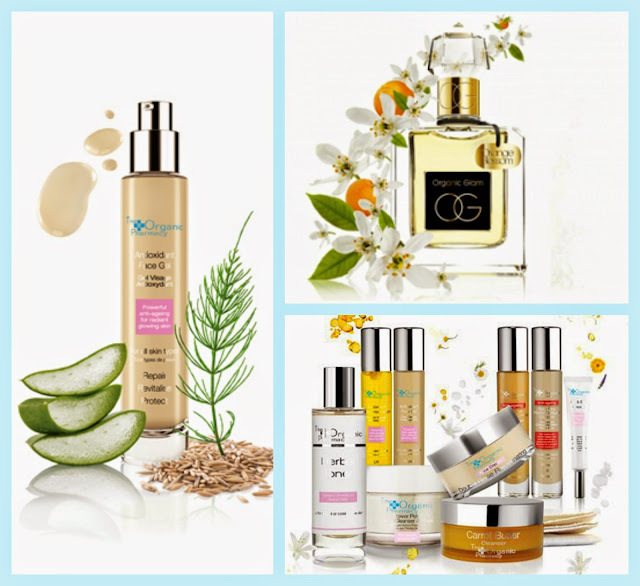 The line is also at Sisters Beauty Lounge, Dubai Mall, Burj Al Arab, Dubai, Fairmont, The Palm Dubai, Six Senses Spa, Zighy Bay, Oman, Mercato Mall, The Village Mall and Mirdiff City Centre.